Prominent Birmingham businessman Steve Hollis has been appointed the new chairman of Aston Villa. 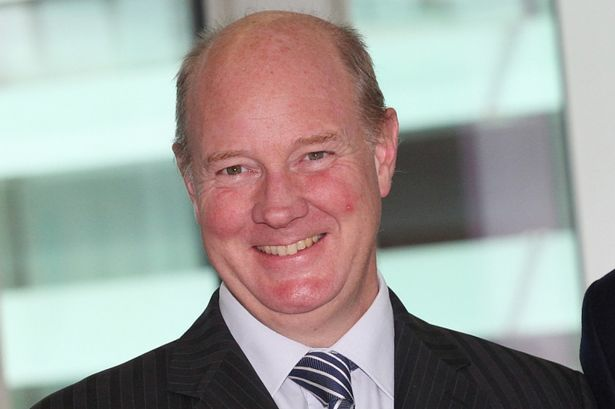 Mr Hollis is the former Midlands regional chairman of financial services firm KPMG and current vice-chairman of the Greater Birmingham and Solihull Local Enterprise Partnership and chairman of Birmingham Metropolitan College Corporation. He admitted it was a surprise to be approached by Villa&apos;s owner Randy Lerner as "chairing one of the UK&apos;s best known football clubs" was not on his list of possible opportunities. Born near Liverpool, Mr Hollis is a huge football fan and grew up supporting Manchester City and will begin work immediately. He said: "When Randy approached me last November, chairing one of the UK&apos;s best known football clubs was not, quite frankly, on my list of possible opportunities. "As I have got to know Randy and spent more time with (chief executive) Tom Fox and (manager) Rémi Garde, it has become increasingly clear a strong board that drives the necessary discipline and leadership will be at the core of the changes needed to overcome the under-performance Aston Villa has experienced over the last five years. "As we have witnessed in the Premier League this year with other clubs, money no longer buys success. Randy has consistently provided financial backing, no less so than last year. "Our future success, however, lies in building a winning culture that is underpinned by a commitment to continuous improvement both on and off the pitch. "The business of football is no different to any other business in this respect. We have the talent and great assets at Villa Park and Bodymoor Heath. "The club needs a shake up and, with Randy&apos;s continued support, the board will look forward to working with Tom and Rémi to help drive the changes that our fans rightfully demand and that our city can be proud of."